As an Official Instagram Partner for Community Management, we thought we’d share our biggest learnings about building a strong and supportive Instagram community. Instagram is a community built on the power of visual storytelling. Both the community and visual aspect runs deep through all of our Instagram efforts. 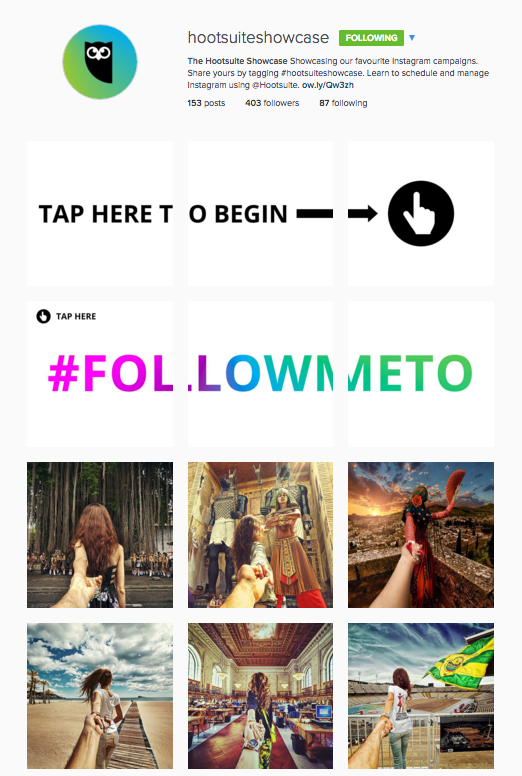 InstaMeet is a cool community-building initiative that takes place around the world. Instagrammers come together to connect, explore, and celebrate their shared creativity. Because anyone can host or attend an InstaMeet, we decided to launch a series of global events. We wanted to be a part of the thriving community, both locally and globally. #InstaMeetHootsuite brought together small groups of influential Instagrammers in Vancouver, Mexico, Nicaragua, Singapore, and London. Each location was chosen for its uniqueness and opportunity for unusual photos. For example, our Mexico City #InstaMeetHootsuite featured a behind-the-scenes tour of Palacio de Minería Museum. These events were a great way for Instagrammers to meet like-minded people in their local communities. And while each event took place locally, the hashtagged photos tied the communities together and promoted a greater sense of belonging. Learn more about how to build your Instagram community with InstaMeets. Acknowledging engaged fans and followers is simply good practice for community management. On a grassroots marketing level, responding to shares by liking, commenting, or re-posting helps us build our communities. Our global InstaMeets sparked a need for deep listening on Instagram. With our new Instagram via Hootsuite integration, we set up hashtag and keyword listening streams in our dashboards. By listening to #InstaMeetHootsuite, for example, we can see what people posted during, and in relation to, the events. Back in Hootsuite’s early days, we built our communities one hug at a time. Listening to and reaching out to people who are willing to engage with us is our way of doing that today. We want to know who’s supporting our communities and acknowledge them—and social listening is how we do that. Great social media practitioners and creatives in general tend to consume large amounts of content. That was the thinking behind The Hootsuite Showcase. We wanted to expose our audience to the best Instagram campaigns to help inspire their own work. And it’s not just our top picks. We’ve crowdsourced our Instagram community to share their favorite campaigns by tagging them with #HootsuiteShowcase. Through listening streams, we can find the best submissions and schedule them using Instagram via Hootsuite. When looking at our blog analytics for 2015, a huge portion of our top performing posts focus on practitioner tips and tricks for Instagram. From Top 3 Instagram Trends for Marketers to 8 Ways to Get Likes and Followers on Instagram, we’ve found that the best way to build trust among your community is by sharing knowledge, experience, and learnings. Harness your inner expert and share what you know. #HootsuiteLife is a fun behind-the-scenes look at our daily life here at Hootsuite. Employees, fans, and ambassadors alike are encouraged to share whatever #HootsuiteLife means to them. This is our way of building an internal community through photography, and sharing it with the world. We’ve found that the greatest way to build a community is by opening yours to others.